@rimanek of course Sync 2.6.0.1317 contains many improvements but I can't tell you if it is the most stable version as not so many customers have installed it yet or simply we didn't get too many reports about any bugs. 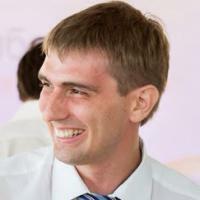 So it means that 2.6.0 can be used by you. Thanks, team! Files support on iOS is amazing! I'm excited to put this to work! Question. I'm using the linux deb repository. It's still showing 2.5.13. Is that right as of now? 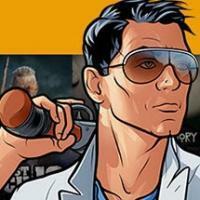 Will the update be pushed soon? Or do I have some other issue? Yours is the only app on my computers with this behavior, so it is a bug of your app, not a windows bug. If you don't plan to fix this bug, just tell us, so I will start to find an alternative. Right, Sync was not yet pushed to autoupdate. You can install deb manually (download from here) or just replace the rslsync binary (download from the topic). that was Fall Creators feature to re-open the app that was opened when shutting PC down. Windows 10 x64 running 2.5.12. Did "Check now" and told it to upgrade to 2.6.0. Got an error saying that it failed to upgrade because it couldn't find a file. On my WHS 2011 box, running 2.5.13, I do a fresh reboot and then update using "Check now". After a bit or so of not seeing any action, I get an error "Could not update because it seems like Resilio Sync is already running. Please close Resilio Sync and try again". Both machines left without Resilio running and needing to be manually reopened. I open on my WHS 2011, and its showing version 2.6.0, and "Cannot get a list of trackers" error. Reopen on Windows 10 machine and still on 2.5.12. I tell it to install 2.6.0 again, and the progress bar is barely moving. I click the window, and Windows goes (Not Responding). I have to kill it to close it. So I want to fix my Windows 10 Resilio so it'll talk to my WHS 2011 running 2.6.0 and go to download it from https://download-cdn.resilio.com/stable/windows64/Resilio-Sync_x64.exe. I install it, click next a bunch of times, and then it opens. 2.5.12!!! WTF. Why isn't the download link updated to 2.6.0 before the auto upgrade "check now"? Jeepers creepers. So I check the Properties/Details of the Resilio-Sync_x64.exe installer, and it shows 2.6.0.1317! I check the actual Resilio Sync.exe in C:\Users\username\AppData\Roaming\Resilio Sync\Resilio Sync.exe, and it's still 2.5.12. No errors during install that complained about failing to copy files. Resilio sync was verified to be not running via taskmgr before each install and shouldn't run into any opened files preventing overwrite. This is really a terrible upgrade/installation program. Are you trying to make your own installers or are you getting these issues using well tested, proven installers and upgraders? I've been using btsync for years, and I can't believe the process is still this unstable and unreliable. How do these issues get through after several weeks of testing? I get upgrade issues more often than not. It seems the process isn't very robust and gets blown over with the slightest breath. I know a lot of your issues were from the rebranding to Resilio, but it seems these issues are never ending. Smooth upgrade 0 for 2. My "Check now" silently fails to update. The progress bar gets about halfway and it disappears. I'm not sure if it crashes or not, but nothing changes. (Sometimes it gives me a message like "Failed to update. Process is a UI process." --something like that. I'll take a screenshot next time. If I download the installer, it insists that it completes, but it's still 2.5, and there are no 2.6 files anywhere on my machine. For this problem, disable any anti virus/anti malware software. In my case, it was software called "CryptoPrevent" that defaulted to preventing running .exe's and renaming .exe's from within the users app sub folders. Even whitelisting the Resilio .exe wasn't enough because of their update mechanism and the renaming of the sync .exe is blocked by default as its malware like activity. It's probably not a good sign that Resilio is doing updates that match expected malware behaviour. I thought the .exe's were supposed to be installed in Program Files dirs, but I'm not a Windows developer, so I don't know. I just suspect they are not doing the Microsoft recommended of where to put data and executables. I hope they revisit their update process to be more like notepad++'s, where the updater runs when notepad++ is closed and then you overwrite the existing .exe instead of .exe name changes that will get detected as malware-like going forward. In 2-3 years of running Crypto Prevent, Resilio is the only known program that had a conflict with the default settings and whitelisting at time of CryptoPrevent installation. Having to disable malware protection to run updates is generally the first step to finding a replacement program so that one doesn't have to do that to do simple updates. AppData is one of the places Microsoft says you can install applications. (I install one of mine there, too. Google Chrome goes there as do many others.) The advantage is that you don't need to elevate to administrator privileges to install. The disadvantage is that only one user can use the software, so every user who wants to use it has to install their own copy. I tried again to get more precise information. Using "Check now...," the installer runs. (Since it installs in AppData, I don't understand why the "Install" button uses the administrator shield to indicate elevation is required because it's not.) Resilio exits (or crashes?). The installer fails with this message. I would've been very happy to buy the Home Pro version during their recent sale (or, really, any time), but bugs like this and the persistent failure of every one of the four instances of Resilio Sync that I'm running to sync ALL files (folder.jpg and other seemingly random files that sit in the "sync queue" for months no matter what I do) means that I cannot rely on it. In fact, I'm just about done using it altogether and going back to Robocopy or Allway Sync. I would've been very happy﻿ to buy the Home Pro version during their recent sale (or, really, any time), but bugs like this and the persistent failure of every one of the four instances of Resilio Sync that I'm running to sync ALL files (folder.jpg and other seemingly random files that sit in the "sync queue" for months no matter what I do) means that I cannot rely on it. In fact, I'm just about done using it altogether and going back to Robocopy or Allway Sync. There was no error in Crypto Prevent, either. I had to manually try and remove/rename the Resilio Sync.exe manually in Explorer, and then it showed up in Event Viewer and Crypto Prevent's log then told me that. In Event Log, there was a message about some policy was preventing the access. So if you're just running Windows Defender, that's not it. But if you were running some third party solution, then I'd say it was. Just try and rename/move the Resilio Sync.exe when it's closed and see what happens. You can also try Unlocker to see if something has a handle on it, though Unlocker didn't show anything for me. FYI, my chrome was in "C:\Program Files (x86)\Google\Chrome\Application\chrome.exe". I'm single user on this PC. But there have been 3-4 other .exe's in my appdata folders, just don't have any problem updating them. Sorry, I was thinking of corporate machines which lock down administrator privileges. If you can elevate when you install Chrome, it prefers Program Files. Mine's there, too. Anyway, I'm pretty sure the problem is that Resilio Sync is incorrectly installed into the Roaming folder. That's for settings--not applications--that roam to different machines via some server. This is probably why the system has Resilio Sync.exe locked. Nothing should install in Roaming--just Local. 1) to update, just download exe file form our site and manually replace it in C:\Users\ghost\AppData\Roaming\Resilio Sync, name the downloaded file Resilio Sync.exe. 2) if that will be interrupted by open handles, unregister dlls from %appdata% and from C:\ProgramData\Resilio Sync with regsvr32 -i <file.dll> . After that try update. We'll see to change installation path. Where does one download just the Resilio Sync.exe file from resilio.com? I see only the installer. 1. That's the issue though--the Resilio Sync.exe file is "locked by System." I'm using an admin console to schedule a move from Resilio Sync.exe.new to Resilio Sync.exe. We'll see if that's enough or if there are other files that weren't installed. Oh, I'm sure there was no change to this the release was made before they knew the bug. What was the result when you used Unlocker to rename it on reboot? Then it won't be open and it'll be upgradeable. Or check taskmanager and kill any Resilio stuff. No Resilio stuff is running whenever I try to rename it. I added a "delete on restart" command in the Registry as an elevated user (using the Sysinternals MoveFiles utility, if you're familiar with it), and it still couldn't be deleted. I'm pretty sure Windows itself has it locked because it's in the Roaming directory, and Windows is doing whatever it needs to do to make it available for roaming. 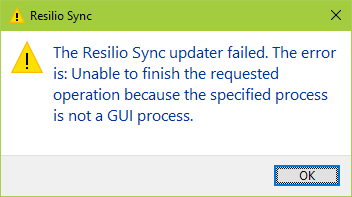 The "not a GUI process" makes it sounds like the issue is related to a service, but I've never installed Resilio Sync as a service. Oh, another piece of evidence that suggests it's service related is that the installer prompts me for administrator privileges. SInce it's installing into the AppData\Roaming\ directory, there's no reason to elevate. There is an undocumented change in the releases note. Indeed at least since version 2.6, some events in history are hidden on a free licence version. Only returns the mention "Upgrade to Pro". Please, can you give what sorts of event are impacted by this change ? It's good you're familiar with Sysinternals, because next is to use another Sysinternals app to find out what has the handle on your Resilio Sync is. Process Explorer? p.s. If you use a recent version (2018, maybe 2017) of Acronis True Image, they added crypto malware prevention and would also be blocking this behaviour by default. Lastly, boot into safe mode. Worst case, rename it from command line during the diagnostic boot. Or boot off a linux livecd and rename it. The QA on Resilio isn't extensive, so you can either workaround it now and move on to resolve the issue and continue on, or continue to try and help their developers figure out the issue (I refer you to the previous support response with the two points that had zero chance...). Given the needed change to change the default installation dir, it's kind of moot to spend more time on solving this issue if they don't already have an idea. 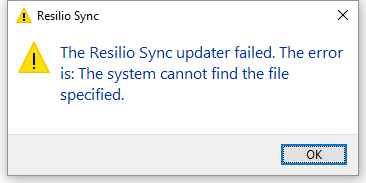 *sigh* Upgrade from 2.6.0 to 2.6.1 just failed with "The Resilio Sync updater failed. The error is: The system cannot find the file specified". I have no idea why they went with an installer that made poor default decisions and an updater that doesn't work. Programs have been self-updating for decades. So now I'm back in the same boat as you. And I just did a fresh reboot yesterday and I can't do reboots for a few days until I get past some work stuff. I get that this is mostly a free app, but someone needs to make the case for hiring a senior QA person there. 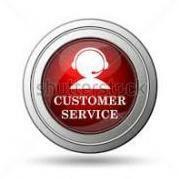 They truly make a difference to quality, which has improvements to support, sales, and morale. It's expected to have obvious bugs in corner cases and unpopular features, but not on core functionality basic to nearly everyone in basic use cases. You get a working upgrade process early in software development precisely so you can make future changes more easily. My mind is blown that after the branding change that required a migration to new install paths, that this is problem is even happening. Yup, I use all the SysInternals as a developer. ? However, I'm not interested in doing their QA for them unless they show an interest in these bugs. I've got other things to do. ? I'll just have to keep running the free version of 2.5.12 until it's fixed. Hi, since 2.6.0 and later I'm unable to use it on my old Lacie NAS - getting an error about GLIBC 2.7 update. Is there any chance to have anything beyond 2.5.12 with earlier GLIBC support? Tnx.